An aesthetic professional who does not have in-depth medical training in physiology means an increased risk for side effects and poor results and could result in permanent problems from injectables, deeper layer chemical peels, and machines that are more than a class one medical device. 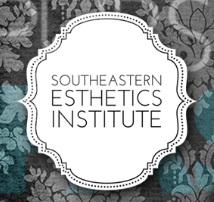 This article will explore the regulations of popular aesthetic practices within varying states. Cosmetic professionals, like aestheticians and cosmetologists, are well-trained in facial anatomy and how to care for the skin, however, their scope of education stops at that. When it comes to aesthetic practices as it pertains to state requirements, they are not created equally, as every state has different guidelines. Some are similar and others are far apart in scope of practice requirements. It is important to keep an eye on scope of practice, understand it, and make sure one is practicing within the scope for one’s state. Follow all laws regulating practice of aesthetics. Follow the rules of the board. Follow other applicable federal, state, and local laws and rules. Position statements, standards for practice, or guidelines for practice from nationally recognized professional aesthetic entities like EMDA, provided these statements, standards, or guidelines are consistent with existing laws or rules. Consistent performance of all aspects of aesthetic services according to acceptable and prevailing standards. Appropriate recognition, referral or consultation, and intervention when a complication arises during or after the performance of a specific service or procedure. Appropriate knowledge, skills, and abilities to provide the service. The aesthetician’s services do not involve a function or procedure which is prohibited by any other law or rule and do not exceed the definition of the practice of aesthetics. Aestheticians may use any chemical, mechanical, or electrical service to exfoliate cells of the stratum corneum if their state requirement permits. Chemical peels performed by an aesthetician must be mixed and used at an ingredient concentration of their board requirement. In addition, the licensee follows all manufacturer’s directions in the use of the chemical peel preparations. Preparations are stored according to the manufacturer’s specifications and is discarded after its expiration date. Finally, aestheticians must not provide services using any device unclassified by their respective board’s rules. Scope of practice varies from state to state, so it is important for a professional to know the requirements of his or her own state. For instance, in Ohio, professionals who work for a doctor often have the misconception that they can do anything a doctor orders them to perform. Many salon, spa, and medical spa owners who have incorporated medical spa services using aestheticians or cosmetologists are not willing to acknowledge that there is a limit to what the aestheticians and cosmetologists can perform, even while working under a doctor. Below is a statement about aestheticians and cosmetologists working under a physician from the lawyers for the Ohio State Board of Cosmetology and Barbering. While the medical delegation rules in chapter 4713-23 of the administrative code allow a physician to delegate certain medical tasks, licensees of the board still have limitations on what practices they can engage in while operating under their board license. Specifically, rules 4713-8-03 and 4713-8-04 state that cosmetologists and aestheticians working under the direct supervision of a licensed physician “shall provide only services within their scope of practice as set forth in Chapter 4713 of the Revised Code and the rules promulgated thereunder.” So, board licensees would not be permitted to provide services that are outside of their scope of practice, while working under their license, even under physician supervision. There would be no issue, however, for them doing so as a layperson, if permitted under the medical delegation rules, but care would need to be taken to avoid advertising or otherwise implying that the services are being provided by a licensed cosmetologist or aesthetician. 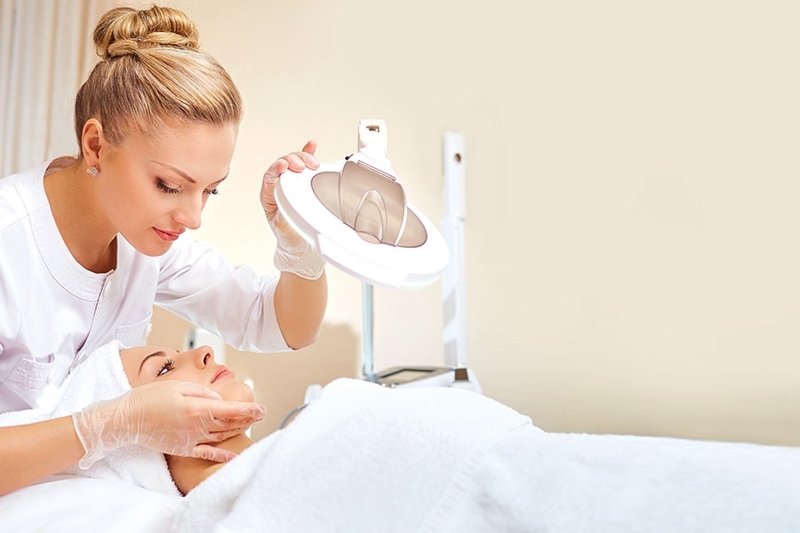 Simply, if a professional works for a doctor or a medical spa and works under the Ohio State Board of Cosmetology and Barbering by using the title aesthetician or cosmetologist, they are unable to do any service restricted by the board, like microneedling, operating machines over 180 nanometers, or using peels over 30 percent at a pH under 3.0. The reason one cannot do this in Ohio, even when working for a doctor, is that when someone calls themselves an aesthetician or a cosmetologist in Ohio, all the board’s rules fall over that title like an umbrella and, because of this, aestheticians and cosmetologists are restricted to what they can do under their respective licensed title. When it comes to chemical peels in Ohio, the restriction is no more than 30 percent acid at a pH of 3.0. The problem is, not many manufactures make a chemical peel quite this superficial and, because of this, many professional aestheticians in Ohio are using chemical peels that are not in compliance with the state board’s mandate, meaning these professionals are practicing outside of their scope of practice. Microneedling has become one of the most popular skin resurfacing procedures for tackling wrinkles, hyperpigmentation, signs of aging, scarring and stretch marks. Although microneedling has proven to be an effective procedure for improving the skin, it is a complicated procedure to allow in various states because of the differences in needle depth and the variations of rules from state to state. In 2015, the FDA found that microneedling devices with needles longer than 0.3 millimeters must be classified as a Class 1 medical device. As a result, the FDA has instigated cease and desist actions against several companies selling microneedling devices longer than 0.3 millimeters for aesthetic purposes until further notice. Under FDA guidelines, aestheticians can only use microneedling devices of less than 0.3 millimeters and only those that do not make medical claims. If a device is less than 0.3 millimeters but makes medical claims, it also cannot be approved for sale or use. In addition to using only microneedling devices that conform to FDA standards, professionals must ensure they are practicing within the scope of their aesthetic or cosmetology state license before performing a microneedling procedure because these guidelines also vary from state to state. A good example of this would be the following states. In Washington, only master aestheticians can perform microneedling, whereas, in California, microneedling is considered an aggressive procedure by the Board of Barbering and Cosmetology and is, therefore, not allowed to be performed by licensed aestheticians under any condition. In Ohio, aestheticians cannot do microneedling in any capacity in a salon, spa, or medical facility. In Florida, licensed aestheticians can offer microneedling, although, in Utah, only master aestheticians can perform microneedling, provided the needle depth does not exceed 1.5 millimeters. General supervision by a licensed healthcare provider is required if the needle penetration exceeds 1.5 millimeters. In the United States, the law states that licensed physicians, physician assistants, nurse practitioners, and nurses are legally allowed to provide Botox cosmetic and dermal fillers. Some states allow aestheticians to administer injectables while others, like California, do not. Texas law states that non-physicians are permitted to administer injectables, if they are working under a licensed doctor’s supervision. Rules issued by the Texas Medical Board in 2013 require advanced patient screening, injections to be supervised by a licensed medical professional, written protocols to be on hand, and detailed record keeping. The person administering the injections must receive hands-on training. These rules allow anyone to administer Botox cosmetic or dermal fillers. The physician does not have to work on the premises when the injections are performed. Injectables, like Juvéderm and Restylane, are placed below the skin, into deep layers of tissue. As with Botox cosmetic, some injections are even placed in the muscle. For this reason, many states have outlawed the practice by aestheticians and cosmetologists because they do not have enough education to preforms these tasks correctly. A new law in Nevada is in effect that limits who can administer injectables like Botox. The law prohibits aestheticians, medical assistants, and dental hygienists from administering botulinum toxins (Botox, Dysport, and Xeomin) and other dermal fillers like Juvéderm. Nevada now limits who can administer the popular cosmetic procedure to a physician assistant, dentist, registered nurse, advanced practice registered nurse or podiatric physician. Dermaplaning is the controlled scraping of the skin using a sterile, surgical blade held at a 45 degree angle for the removal of keratinized cells on the outer stratum corneum and fine vellus hair. Dermaplaning is considered superficial if the client is not cut or dermaplaning is not done first to prepare for a peel or enzyme peel. Once a professional provides a peel, the treatment is no longer superficial and the peel will reach layers deeper than the epidermis. If an aesthetician performs a dermaplaning procedure this way or performs more than one exfoliation procedure on the same day as chemical peel and dermaplaning, this can potentially be breaking a board rule which is not recommended by many state boards who have adapted the EMDA standards. Dermaplaning immediately rejuvenates the skin by removing the outermost layer of dead skin cells and vellus hair. Dermaplaning allows for more product penetration – anywhere from 300 to 1,000 percent more after a dermaplaning procedure. It is also highly effective in minimizing the appearance of fine lines, wrinkles, and acne scars, leaving skin smooth, flexible, and vivacious. Dermaplaning is a physical and mechanical exfoliation that is extremely safe when performed by a professionally trained skin care specialist utilizing the appropriate tools for the service. A licensed aesthetician, registered nurse, or cosmetologist who has been professionally trained can perform the treatment. Since state laws vary, professionals should check with their state board and professional liability insurance company before performing any new treatments. If any of the above procedures are delegated by a licensed physician, an individual may not hold themselves out as a cosmetologist or an aesthetician while performing the delegated procedure. An individual may not indicate in any manner that any such procedure delegated by a licensed physician is part of the practice of Illinois Department of Financial and Professional Regulation cosmetology or aesthetics. The person receiving services must be a patient of the physician (there must be a physician-patient relationship), the physician must examine the patient and determine the appropriateness and the course of treatment, and the person receiving the physician delegation must carry out the course of treatment as instructed. The state of Illinois had prohibited many services, like dermaplaning, that for years have made aestheticians and cosmetologists a great wage. This is a great reason to become active with the respective boards because many changes can dramatically change a practice and income potential, as in the case of Illinois. Keep in mind how important it is to stay involved with respective boards’ laws and rules, as well as associations and organizations, which protect the professional and believe in strengthening the industry with laws regulation and education. If a professional does not stay in touch and make their voice heard, then he or she may find themselves restricted because their state has allowed the unlicensed public to perform certain services or disallowed licensed professionals to offer certain services. Remember, this is the professional’s industry, so getting involved and making one’s voice heard is crucial! Cynthia Malcom has 20 years of experience in the beauty industry. In 1998, she started as a nail technician, owning and operating three Hand Candy Mind & Body Escape Day Spa locations for nearly a decade. In 2006, she received her C.E. approved and licensed class for massage. Since then, the CIDESCO Diplomat has shared her expertise in advanced skin care at several conferences throughout the United States and on the international level under the moniker Edgar Renee. In 2013, Edgar Renee became the first and largest advanced beauty education company of its kind in Ohio. Edgar Renee focuses on delivering advanced education concepts and techniques in a manner that professionals can easily understand and put into practice.